The Active Backup solution comes with features like on-premise backup, automatic detection and backup of new accounts, self-service recovery portal and more. Synology Inc has announced the official release of Active Backup solution for G Suite/Office 365. "As a growing number of businesses are relying on cloud collaboration to enhance work efficiency, the security of cloud-based data is becoming highly valued", said Jia-Yu Liu, Senior Manager of Cloud & Backup Division at Synology Inc. A key feature of the suite includes on-premise backup, automatic detection and backup of new accounts, self-service recovery portal and more. 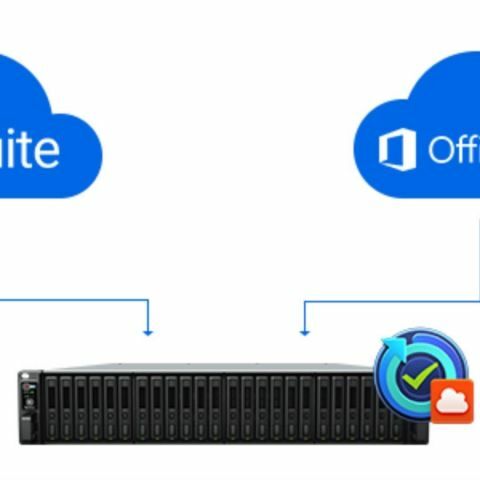 "As a growing number of businesses are relying on cloud collaboration to enhance work efficiency, the security of cloud-based data is becoming highly valued", said Jia-Yu Liu, Senior Manager of Cloud & Backup Division at Synology Inc. "Active Backup for G Suite and Office 365 are our first two backup solutions that protect off-premise business data, allowing cloud data to be backed up to local Synology NAS devices for the prevention against malicious attacks and accidents as well as the complete control over employee data". Self-service recovery portal: The convenient self-service recovery portal allows employees to restore files by themselves from an intuitive interface without the assistance of IT admins, which not only enhances efficiency but relieves IT team members' burden as well. Backup and storage efficiency: Single instancing ensures the efficiency of data transmission and storage by transferring and storing files with unique content only. Block-level deduplication helps businesses keep the most data while using the least storage space by merely saving a file's blocks that are changed in comparison to its previous version. Team Drive backup: Team Drives, which Google just released this year, is also supported for backup. What's more, with the Team Drive discovery feature enabled, newly-created Team Drives will be automatically added for backup.